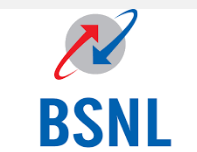 BSNL Offers :- Recently BSNL launched new offers for all BSNL users. BSNL launched 50% cashback offer for All users. BSNL offering 50% extra talktime on prepaid mobile recharge. Yes its 100% truth you will get extra 50% cashback (talktime). Offer is applicable on selected tariff plans as below show. BSNL Special Offers, 50% cashback on Talktime recharge start from 25th September and valid till 25th October 2017. During this offer period you will recharge then you will get extra 50% cashback on Talktime. A good news here very soon BSNL are going to Launch trheir 4G services all over India. Use above given BSNL offers and enjoy 50% cashback on talktime. Important :- Make sure to contact with BSNL customercare before recharge with any BSNL plan.